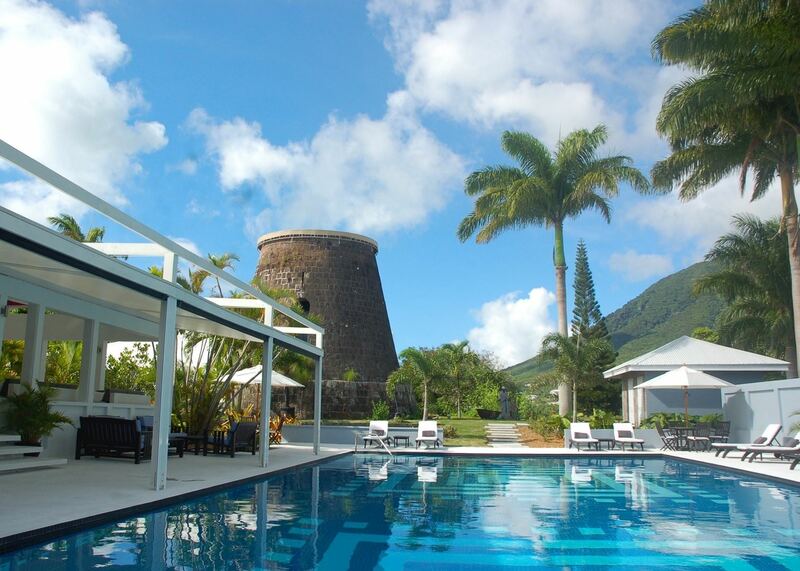 Discover the small, friendly island of Nevis, staying at a charming resort set in the ruins of an historic sugar plantation before heading to the golden sands of beautiful Antigua. 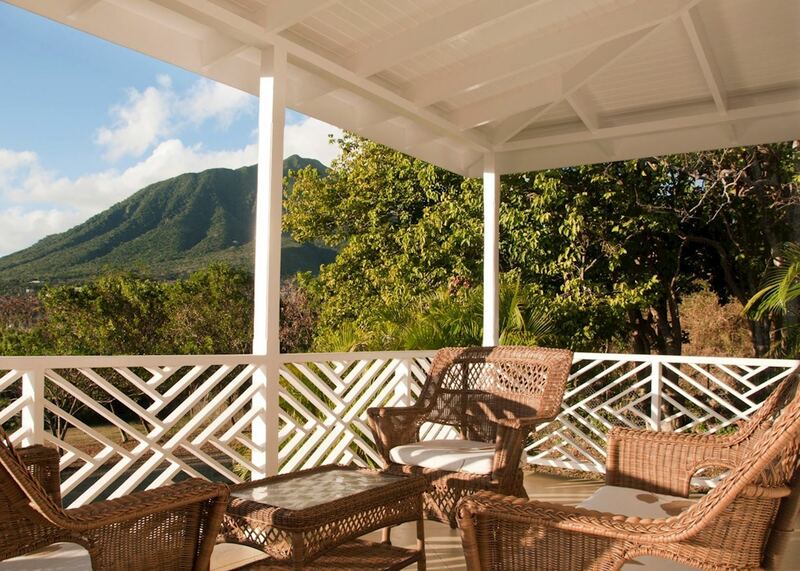 3 nights Nevis including breakfast, 7 nights The Inn at English Harbour including half board. 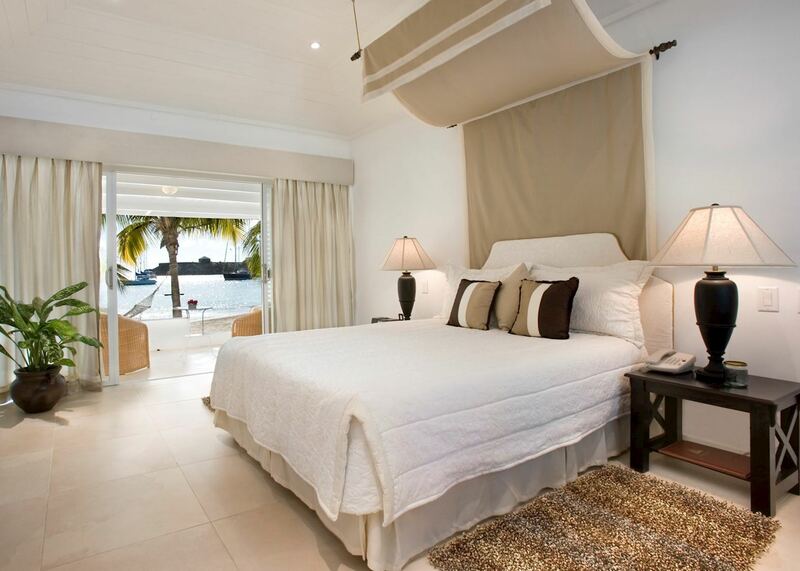 Set on a tranquil beach yet within easy reach of the lively nightlife and excellent restaurants of English Harbour and Nelson’s Dockyard, this elegant, plantation-style hotel offers the very best of both worlds. 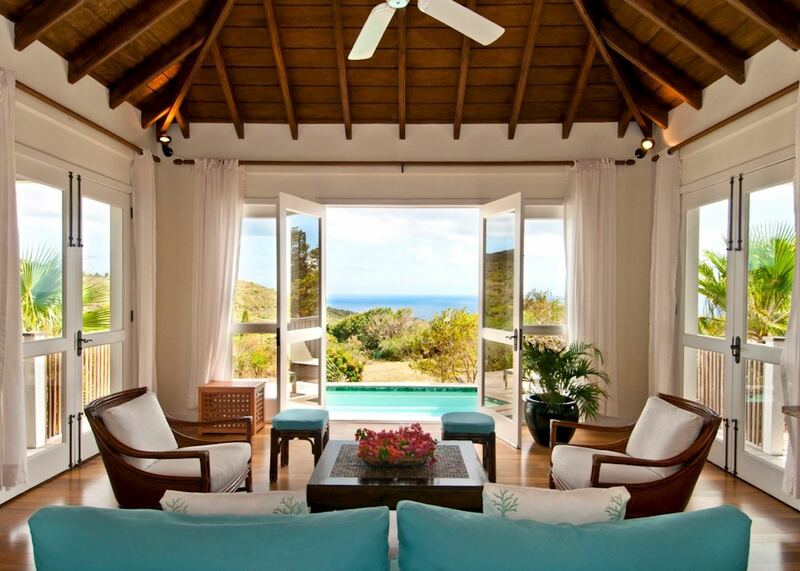 Laid-back and utterly charming, The Inn at English Harbour is set in vast grounds draped in pink hibiscus. Owned by an Italian family, its elegant decor is a blend of colonial charm and chic Italian style. The location is a very special spot with beautiful views over a crescent bay, a golden beach lapped by turquoise waters, and a very tranquil atmosphere. There's a large infinity pool, complimentary non-motorised water sports, two floodlit tennis courts and two golf clubs nearby. The bar pays homage to the island's rich history with nautical memorabilia and antique maps on the walls, and the food is superb. You can choose from casual beachfront dining or the more formal terrace restaurant high on the hillside which offers wonderful views over the bay and yachts below. 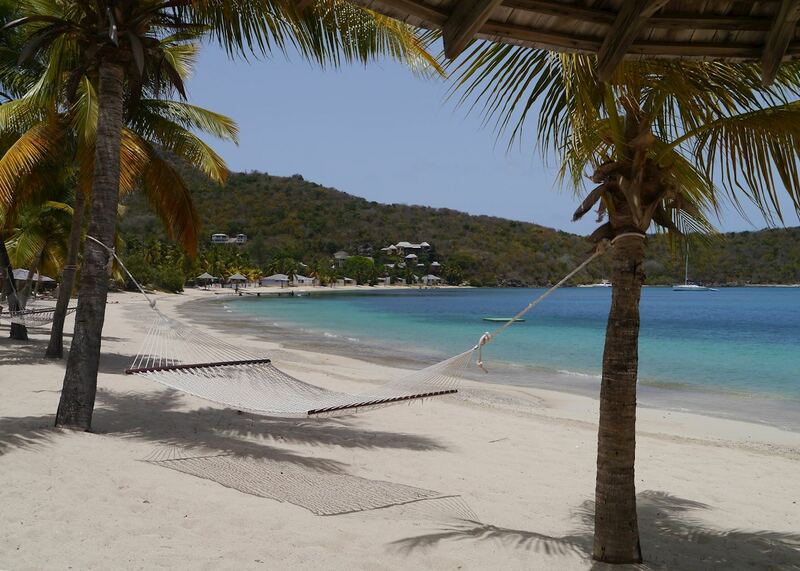 Alternatively, lively English Harbour is just a short boat ride away, making The Inn an ideal place to wind down without shutting off entirely. 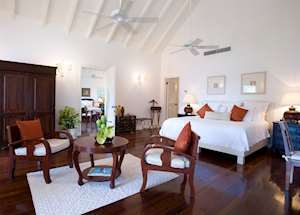 The 28 rooms here are decked out in grand colonial style with mahogany floors, canopy beds and shuttered windows and the rich heritage feel filters right down to the more modest, yet still extremely welcoming, beachfront cabanas. 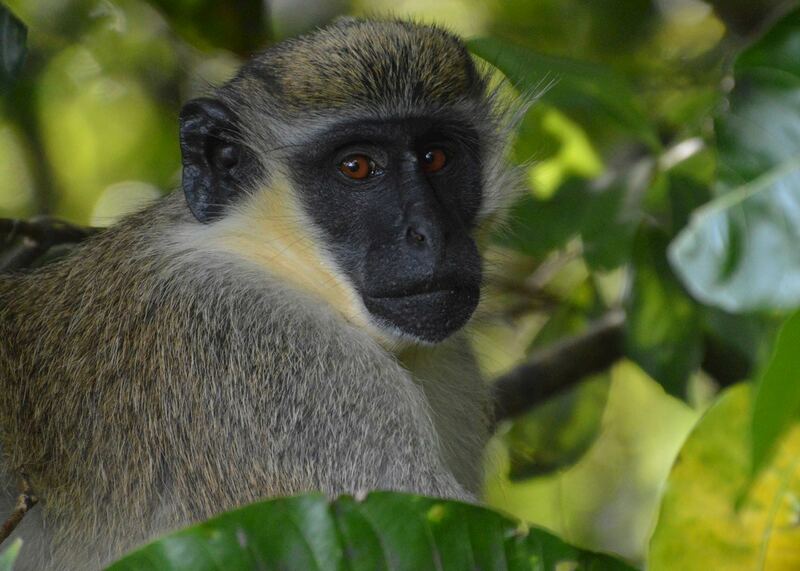 The friendly and laid-back island of Nevis is wonderfully undeveloped and takes just two hours to drive round. 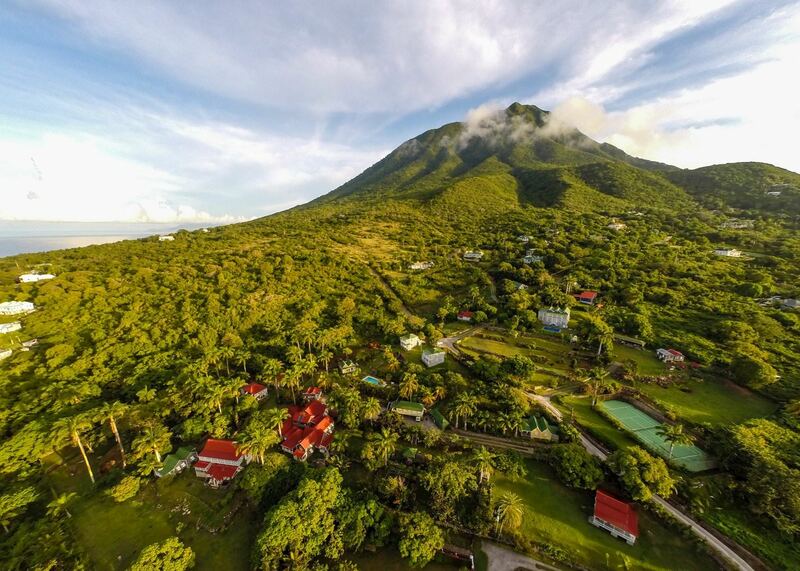 The volcanic peak of Mount Nevis is the dramatic centrepoint of the island with lush rainforest lining its slopes and a ring of silver sand, volcanic beaches around the island. 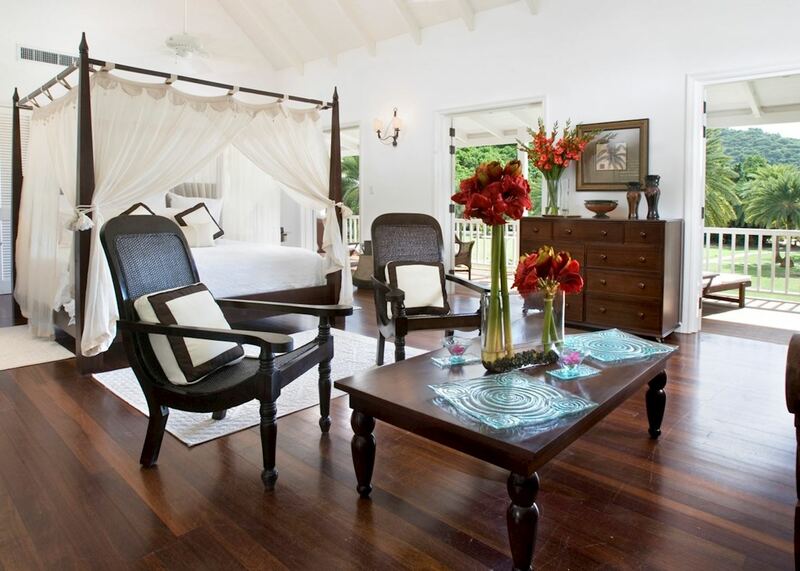 The charming, boutique resort of Montpelier Plantation & Beach is an important part of the island’s history. It was on this site that Nelson married Fanny Nesbit and the remains of the historic plantation have been incorporated into the resort. 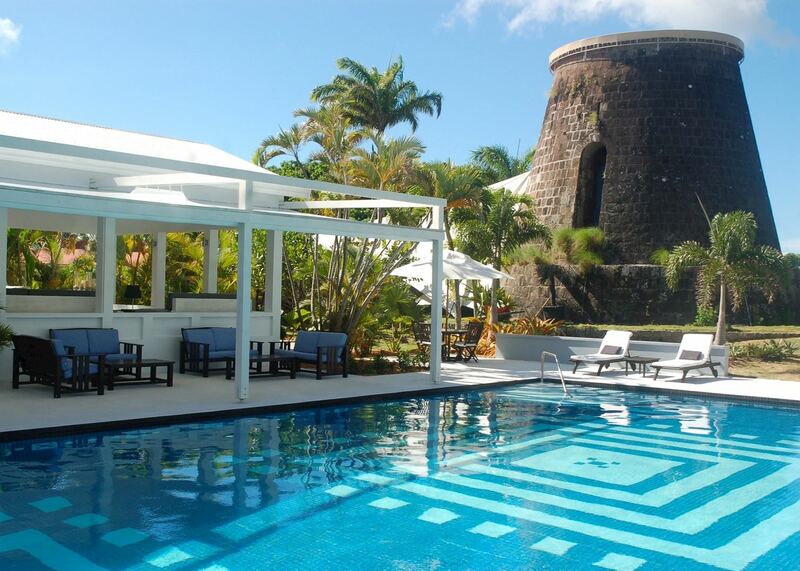 Set in the shadow of Nevis peak it’s a great base for exploring the charms of Nevis and thanks to a lovely pool and quiet beach club it’s great for those seeking relaxation. 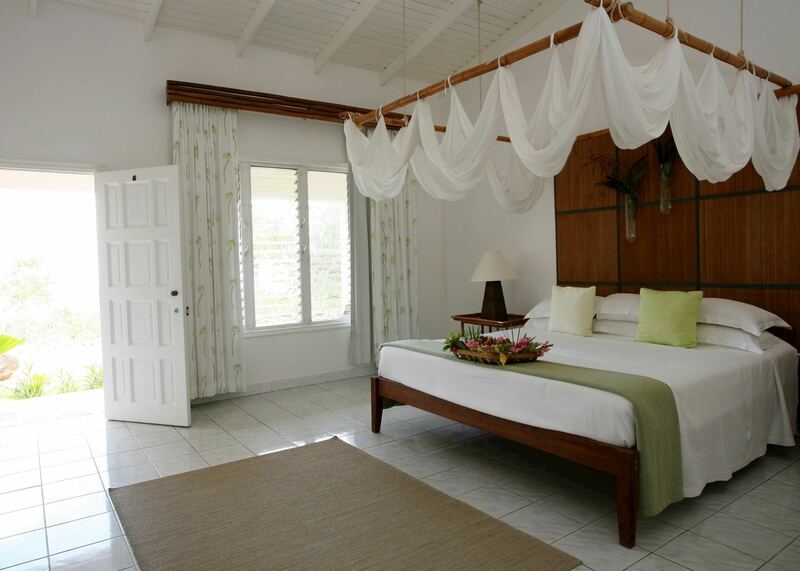 The 19 rooms are individually designed with stone walls and wooden shutters. 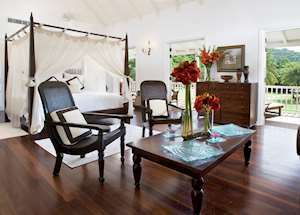 With only 28 rooms set within 19 acres of Antigua’s National Park, this stylish boutique hotel has a feeling of privacy and seclusion but is only a few minutes from Nelson’s Dockyard. Owned and lovingly cared for by an Italian family, it’s full of old fashioned charm and character blending colonial heritage with Italian style. 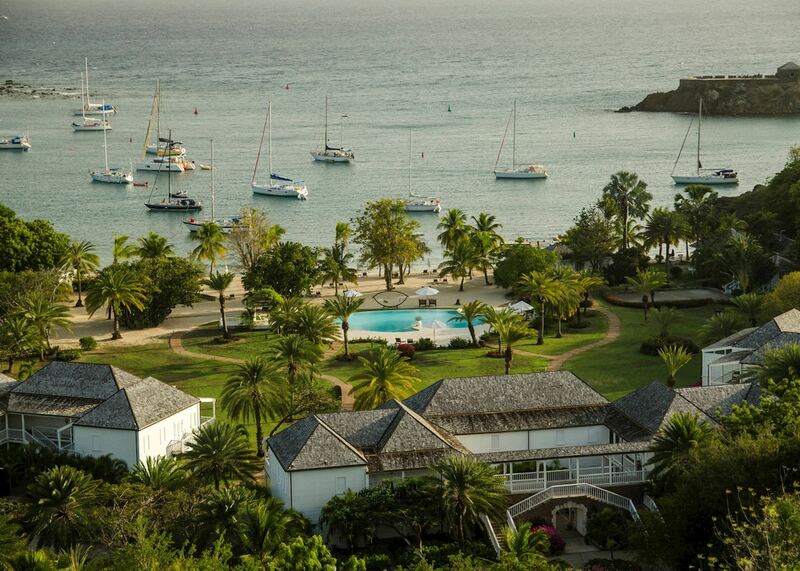 The hotel has great views of historic English Harbour and offers a wonderfully relaxed ambience. The Inn at English Harbour does not provide facilities specifically for children, and their guests tend to be couples or older families, so the hotel is less suitable for children under the age of ten years. 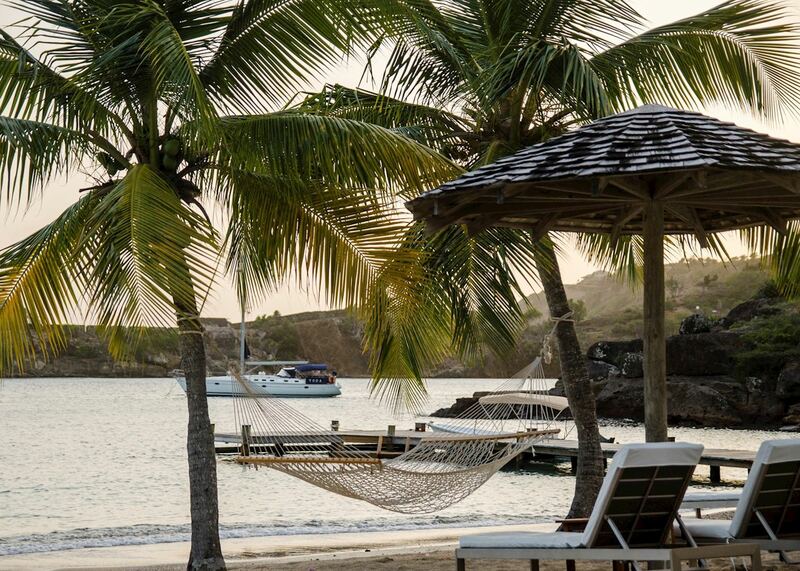 The Inn at English Harbour is located on the south coast of the island at the entrance to English Harbour, one of the most delightful and picturesque parts of Antigua. 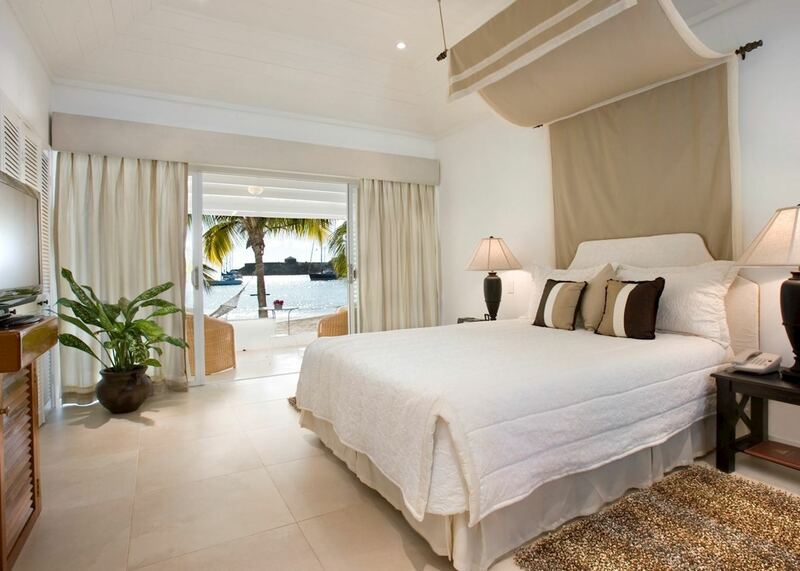 The hotel sits on a pretty, golden-sand beach with calm, crystal waters. Historic Nelson’s Dockyard is just ten minutes' drive away and the hotel also offers a water taxi service there during the day. As well as the historic buildings and remains of the dockyard, Nelson's Dockyard also has shops, bars, restaurants and often very lively nightlife in high season or during any boating event. However, please note that many of these facilities close in low season. 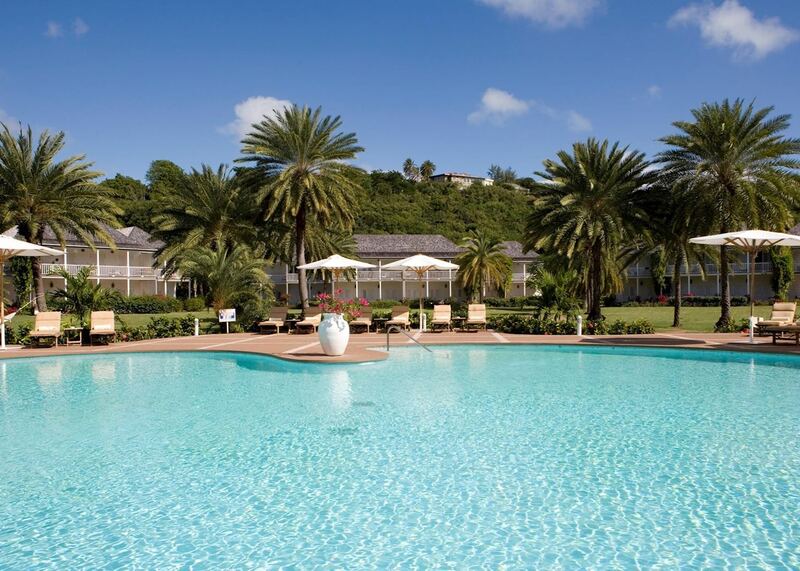 This beautiful hotel offers an ideal location overlooking picturesque English Harbour and within easy reach of Nelson's Dockyard. 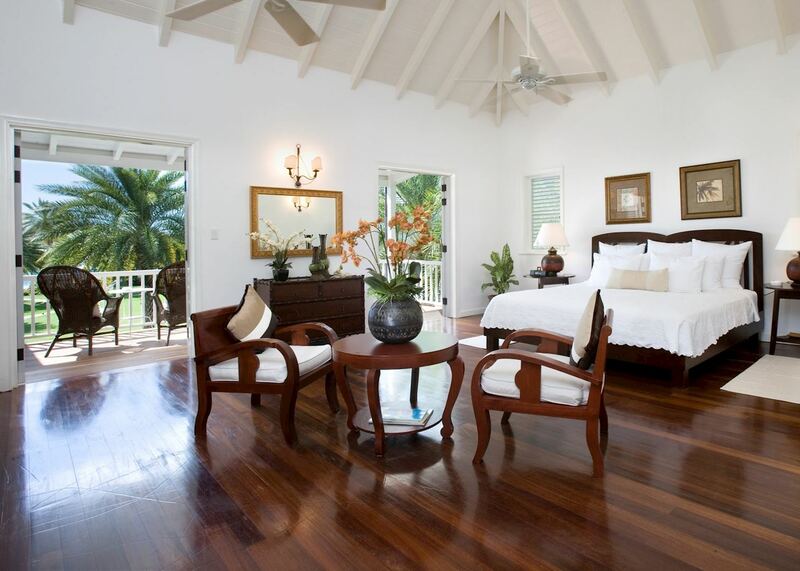 The combination of a great location, beautiful setting and elegant plantation style make this an excellent choice for any stay on Antigua. The hotel’s 28 rooms and suites are elegantly furnished and well equipped with air-conditioning, a ceiling fan, flat screen TV, iPod docking station, mini bar and a private balcony or terrace. There are just four Beach Cabana Rooms, which are located right on the beach. Although these rooms are smaller than the suites, with a much simpler decor, they are often in high demand due to their beachfront location. 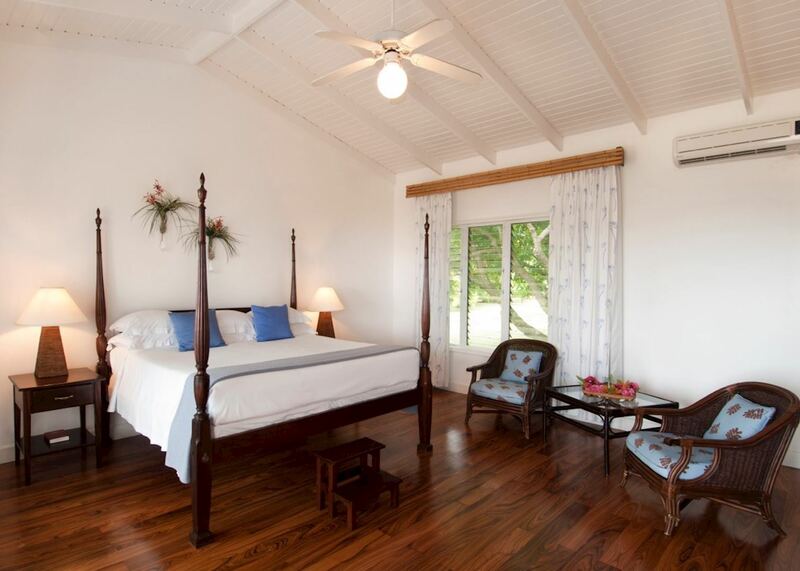 These suites are very spacious at 60 sq m. Set within two storey, plantation style buildings located within the gardens they offer an elegant decor with a heritage feel including wooden floors and canopy beds. 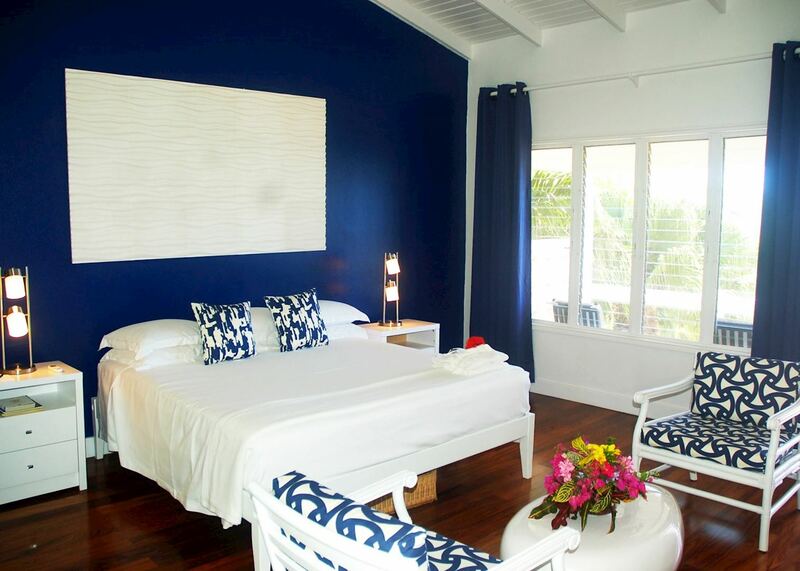 Offering a generous 40 sq m of space, these suites are located in the gardens, set back from the beach in two storey, plantation style buildings. The suites have a beautiful heritage feel with mahogany wood floors, canopy beds and shutters. The ground floor suites have a large veranda leading out to the gardens while the first floor suites feature a large terrace/balcony. The Inn has a large infinity pool and offers complimentary non-motorised watersports including snorkeling, kayaking and laser sailing. There are also two tennis courts and if you want to play golf, there are two 18 hole championship golf courses in Cedar Valley or Jolly Harbour. The resort has corporate membership at Cedar Valley so hotel guests don't have to pay green fees there. Kenty, the head gardener, offers regular tours of the garden which many guests say on their return are a 'must' as he really knows his stuff and has plenty of great stories to tell. Although there is no dive centre at the hotel, the hotel or our local operator can advise on suitable dive operators. Antigua provides some excellent diving opportunities as the island is surrounded by coral reefs, walls and shipwrecks. The southern and eastern coasts of Antigua are surrounded by shelves providing ideal conditions for spectacular shallow diving and snorkeling. You have the chance to see colourful corals, tropical fish, lobster, stingrays, barracudas and turtles. 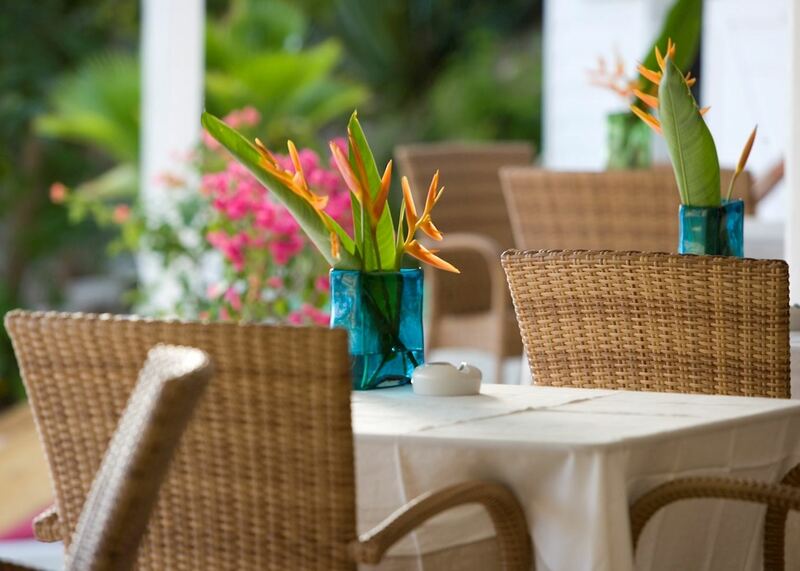 The Terrace Restaurant, set on the hillside overlooking the gardens and English Harbour, offers a beautiful setting for alfresco candlelit dining. 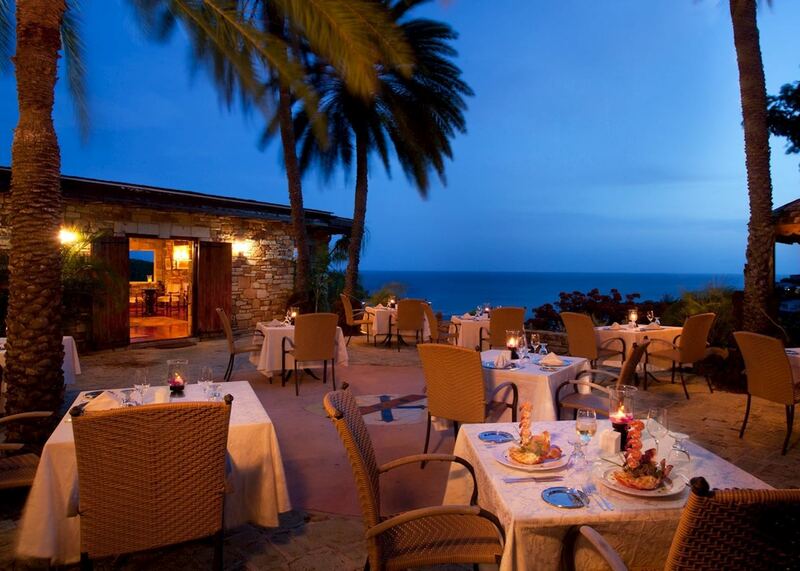 Adjacent to the restaurant, the cosy Stone Bar, full of memorabilia from Antigua’s maritime past, is perfect for a pre-dinner cocktail. 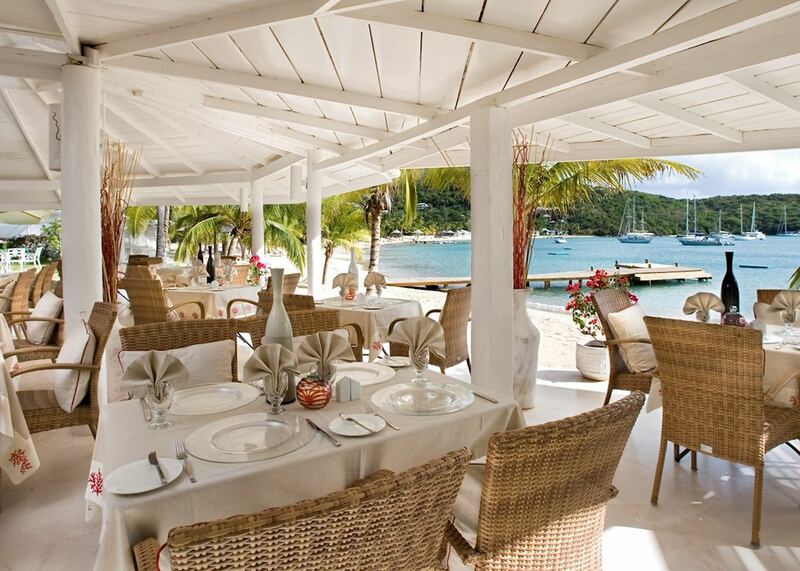 Breakfast and lunch is served at The Reef Bar & Restaurant down by the beach, which offers a more casual ambience. If you want to dine outside the hotel, there are plenty of restaurants at Nelson’s Dockyard complex, which is ten minutes by taxi. Please note that many of Nelson's Dockyard's outlets close in the low season so we'd advise calling ahead or asking the advice of the hotel. 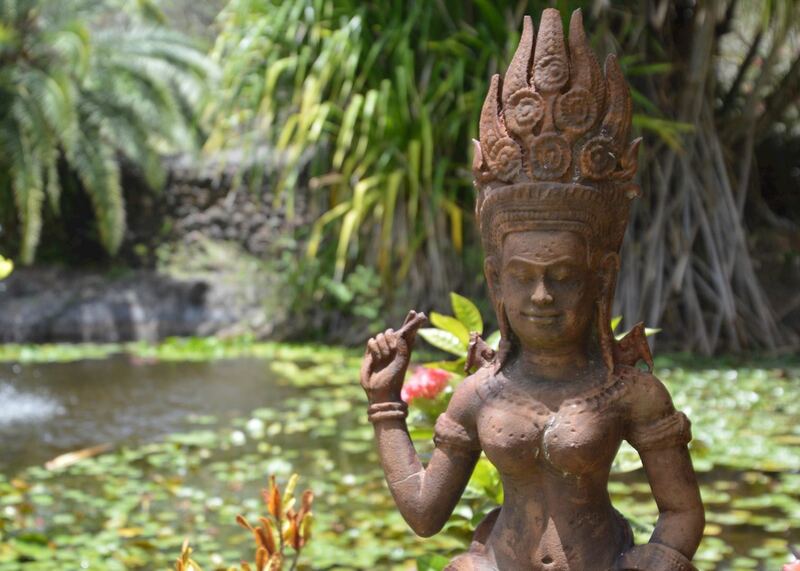 Although not extensive, the lovely little spa offers a range of massage treatments, facials, body exfoliation and reflexology. It also offers manicures and pedicures. For spiritual wellbeing there is also a deep meditation course available, held in the adjacent library. 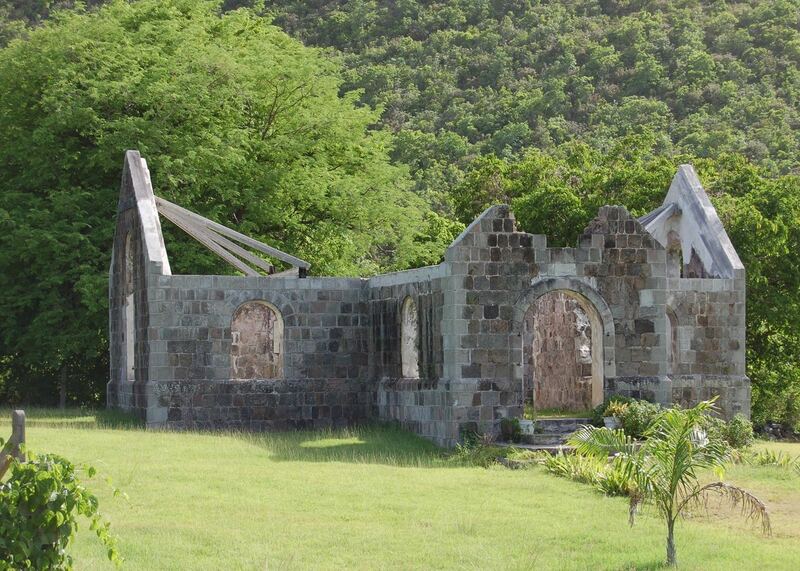 The circular island of Nevis lies two miles south of its sister island of Saint Kitts. The single coastal road takes a mere two hours to circumnavigate as the island is so small. The volcanic peak of Mount Nevis juts up in the middle of the island, with flourishing rainforests leading down to the coast below. 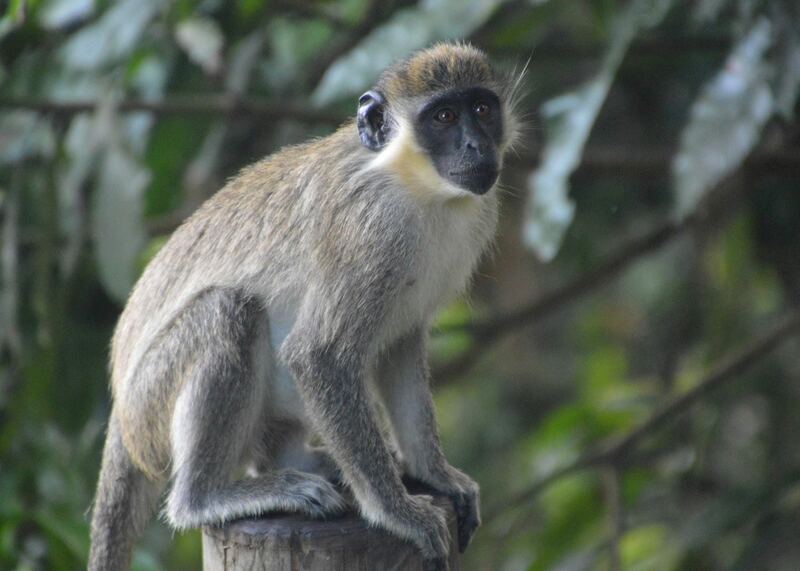 Wild donkeys roam freely and monkeys brought over by French soldiers scamper about enjoying the plentiful fruit. On the western coast lies the main town of Charlestown. 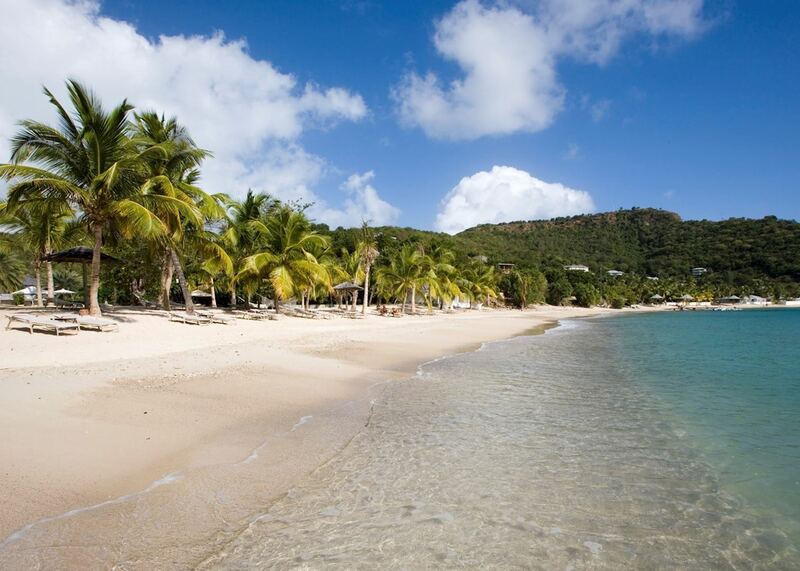 Established by the British in the 17th century, it quietly became one of the most affluent Caribbean towns. Remnants of this can be seen in the Georgian-era architecture and quaint skirt and blouse houses - so named as the bottom floor of the house is stone, and the second floor slatted wood. 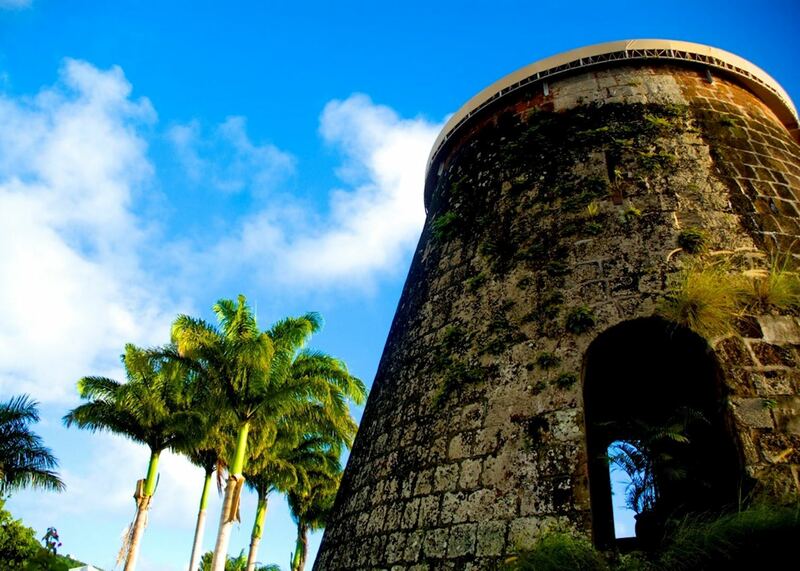 Easily explored on foot, Charlestown is built around Independence Square, which was once a hub of the slave trade. Every year, slaves were auctioned here in their thousands. It has since been transformed into a well-kept park where locals come to relax. 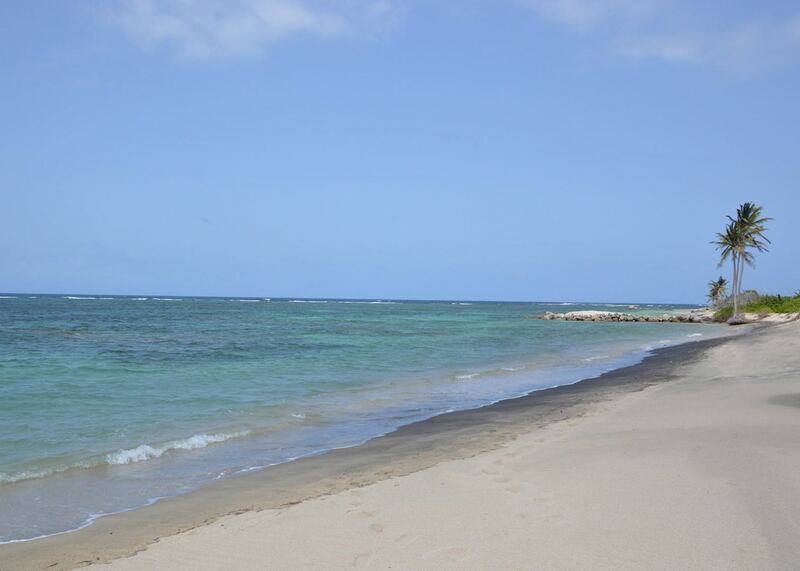 Nevis is home to a string of calm cove beaches, quieter and more wild than those on its sister island Saint Kitts yet with the same silver, volcanic sand. Pinney’s Beach lies just north of Charlestown, overlooked by one of the island’s many crumbling forts and offering rustic beach bars and more polished restaurants. 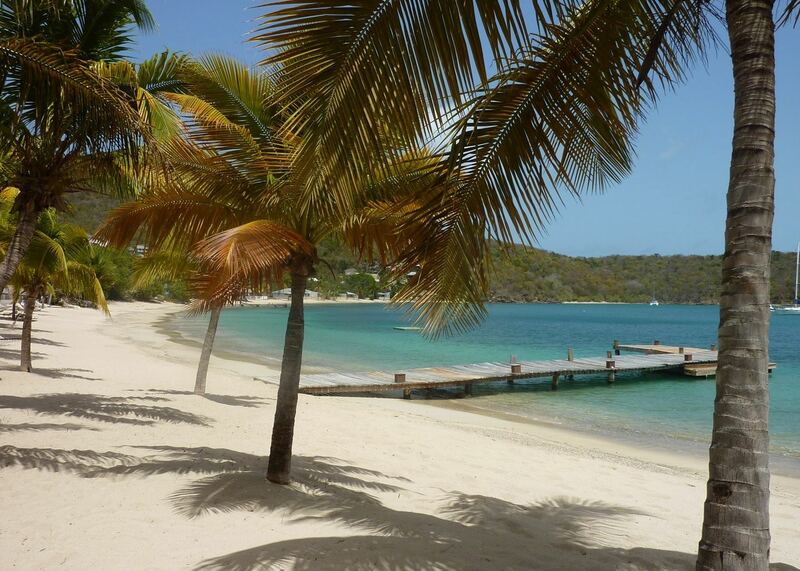 Oualie Beach is a little busier with water sports and snorkeling trips offered. 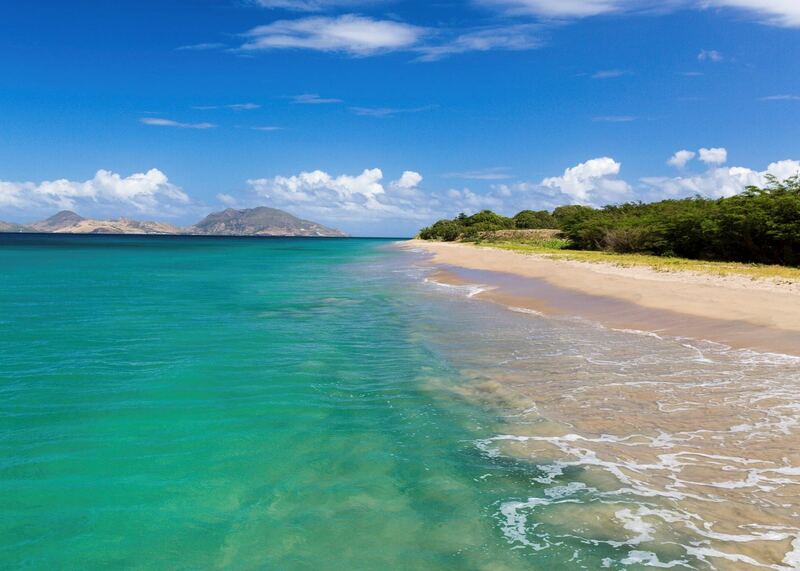 Nisbet Beach, towards the north of the island, is one of the finest with palm-lined silver sand and panoramic views of Saint Kitts. The rest of the island is peacefully rural, with small farms and tiny settlements peppering the coastline. Many homes were built from 18th-century brick reclaimed from the island’s abandoned sugar plantations, and remnants of brick kilns can be spotted around the countryside. 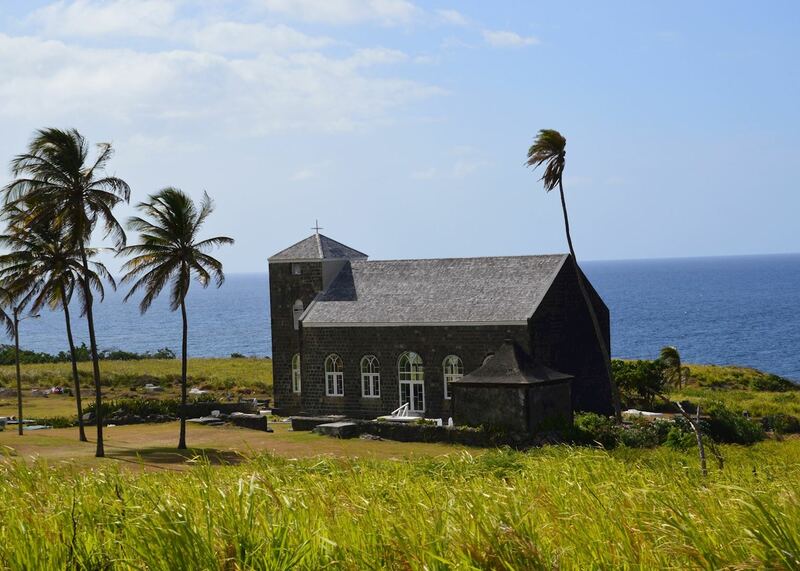 Churches are dotted at regular intervals around the island. Built from dark stone brought over as ballast by ships from Europe, they look imposing in the tropical landscape. To the north of the island lies Gingerland, once an area of intense ginger production, fed by the fertile volcanic soil. Bougainvillea and hibiscus bushes now grow instead, attracting hummingbirds and butterflies. Nevisian food is a real highlight with a variety of restaurants and cafes serving tangy West Indian curries and freshly caught seafood. 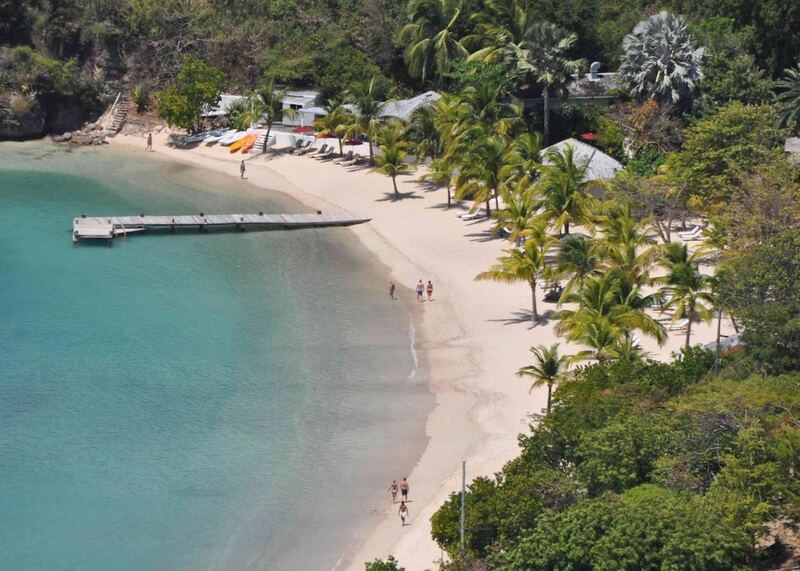 Sat in the shadow of Nevis peak, Montpelier Plantation & Beach is built around one of the islands 18th century sugar plantations. 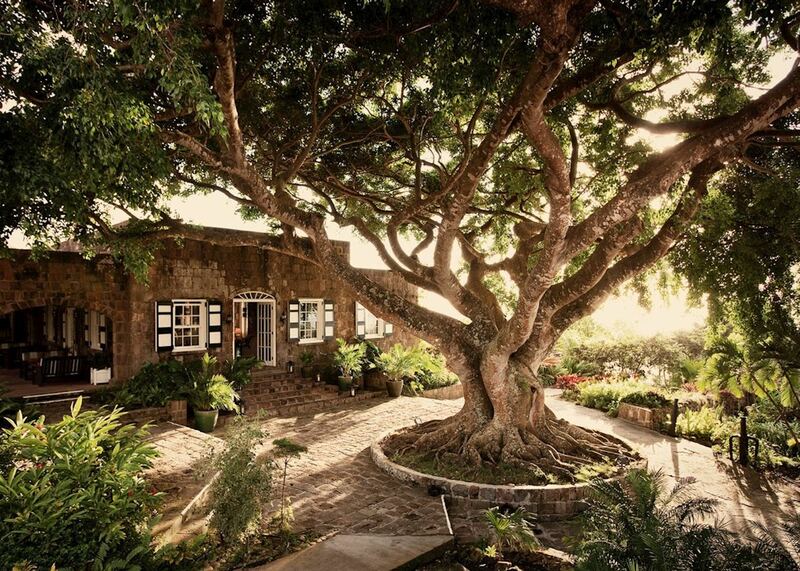 An important piece of Nevis history, Horatio Nelson married Fanny Nesbit, the niece of the President of Nevis, under the boughs of a silk cotton tree in the hotel’s grounds. 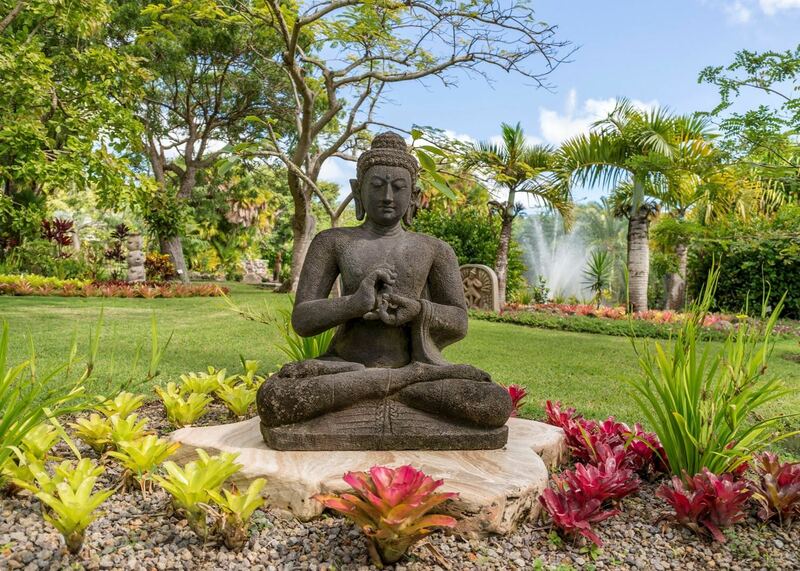 Once one of the richest plantations in the Caribbean, it was left derelict until the 1960s when it was converted into a luxurious boutique hotel. 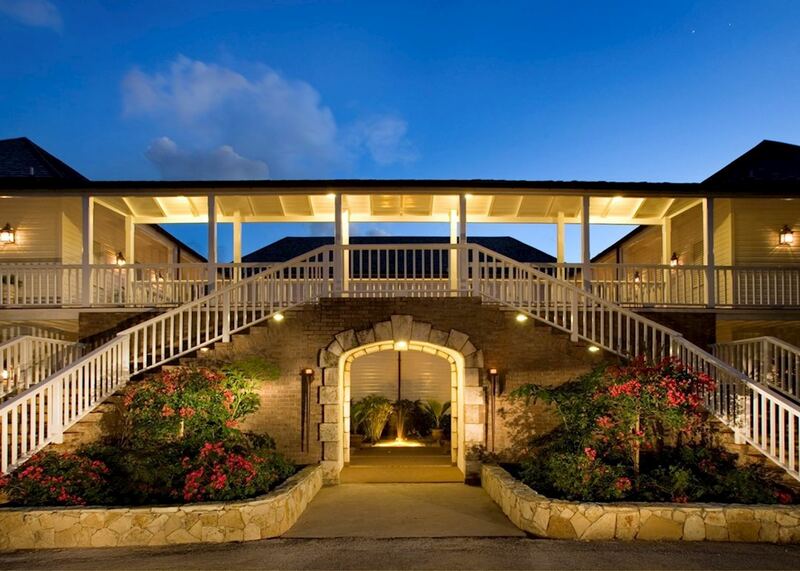 Historical features have been incorporated into the hotel including the sugar mill itself - now a fine-dining restaurant. It’s run by the Hoffman family, a welcoming presence on site, and is part of the reputed Relais and Chateaux group. 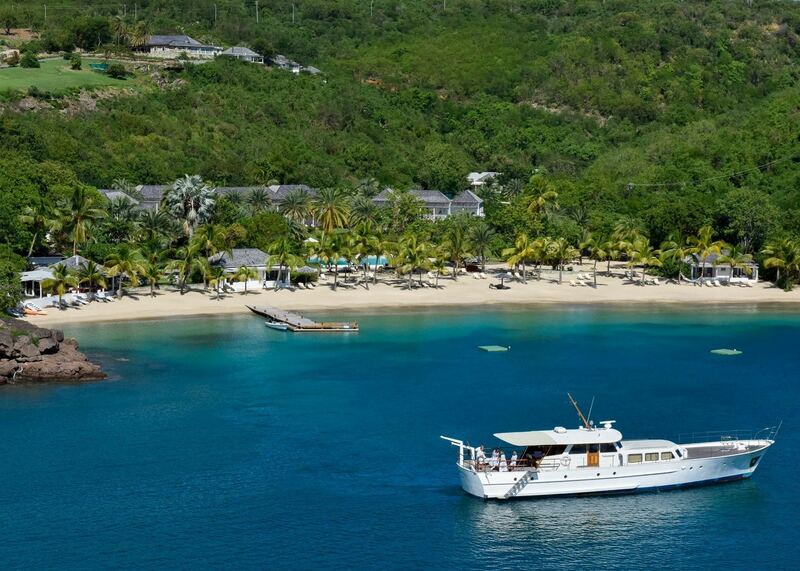 On arrival in Saint Kitts you will be met by our representative and transferred by road and water taxi to the beautiful Montpelier Resort on Nevis. 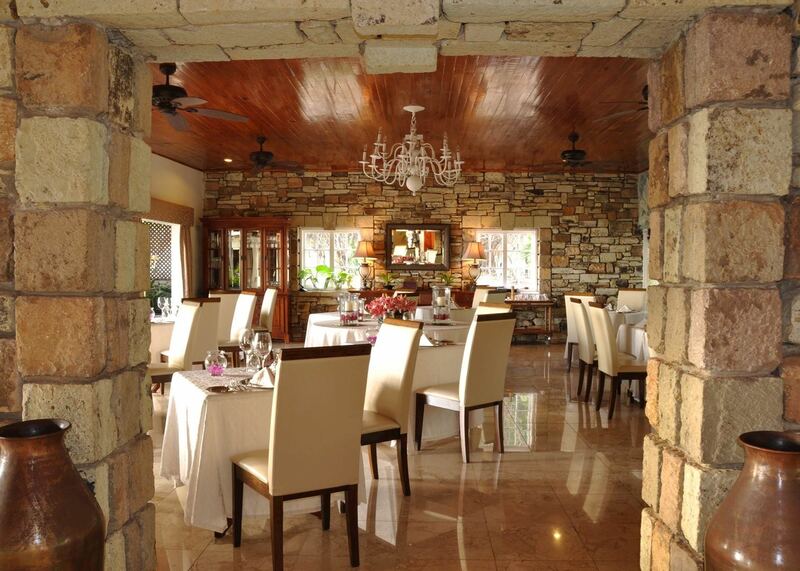 Built around an 18th century sugar plantation, historical features have been incorporated into the resort such as the stone sugar mill, now home to an intimate, fine dining restaurant. Your first full day at leisure. Why not explore the capital, Charlestown. Small enough to be explored on foot, there are a couple of museums here and you can visit the courthouse where pirates were prosecuted. This small, friendly island is easy to drive round, so why not hire a car and take a leisurely tour round the Heritage Trail on the island's only main road. Most of the day is free for you to explore. 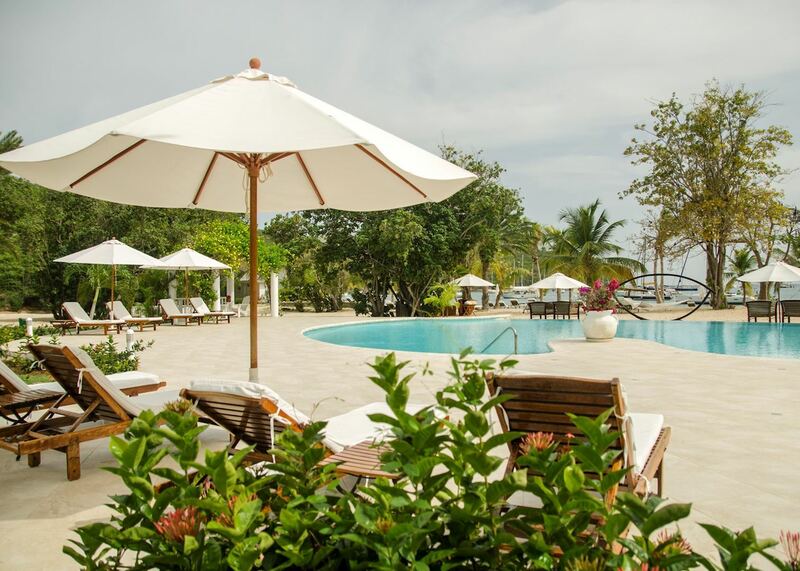 Or if you would prefer to relax, the resort has a beautiful pool as well as a quiet beach club. 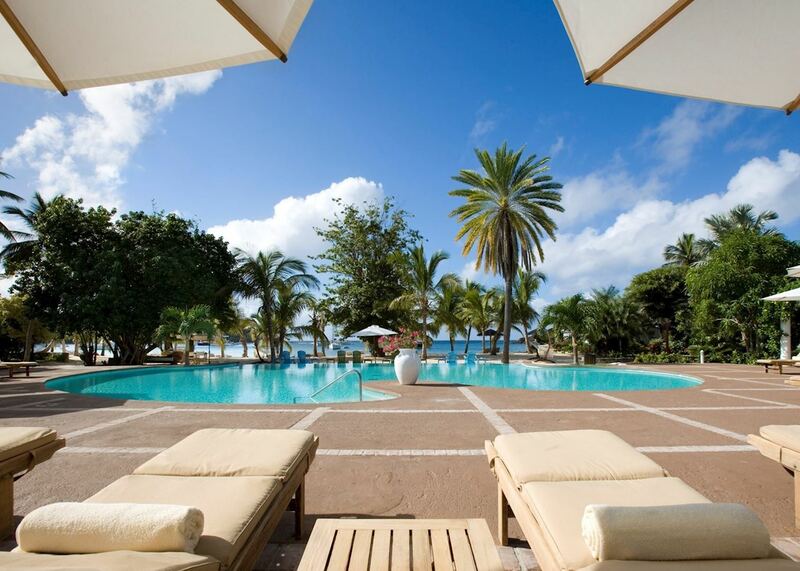 Late this afternoon transfer back to the airport in time for your flight to Antigua. 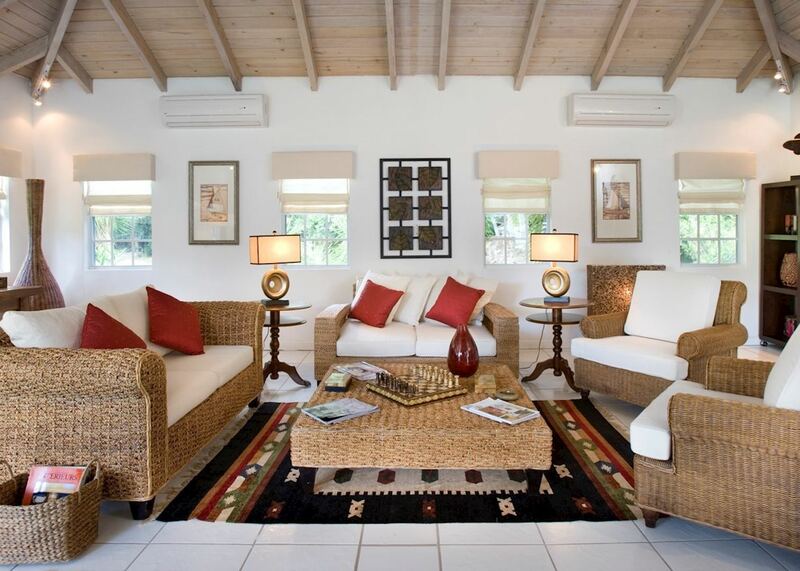 On arrival you will be met and transferred by private vehicle to The Inn at English Harbour. The journey down to the south coast will take about 45 minutes. Today is your first day at leisure at this charming and characterful hotel. 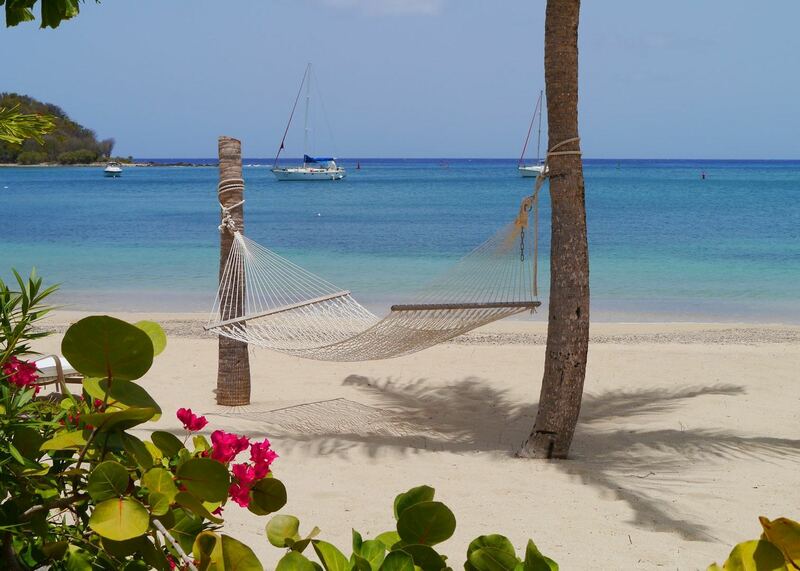 You may wish to enjoy the complimentary water sports, or simply relax on the beautiful beach. If you would like to explore, take one of the trails through the national park in which the resort is set. Or perhaps head to Shirley Heights for great panoramic views over the harbour. It's well worth visiting on a Sunday for the sunset party with a steel band and barbecue. Today, why not take advantage of the hotel's proximity to English Harbour to visit the marina and explore historic Nelson's Dockyard? 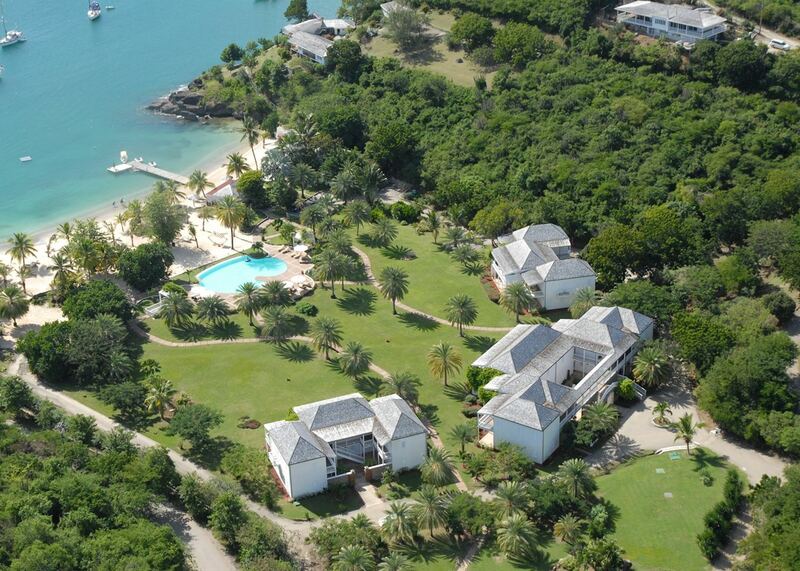 Antigua is very popular with sailors and hosts many international regattas. Why not head out on a sailing excursion today? 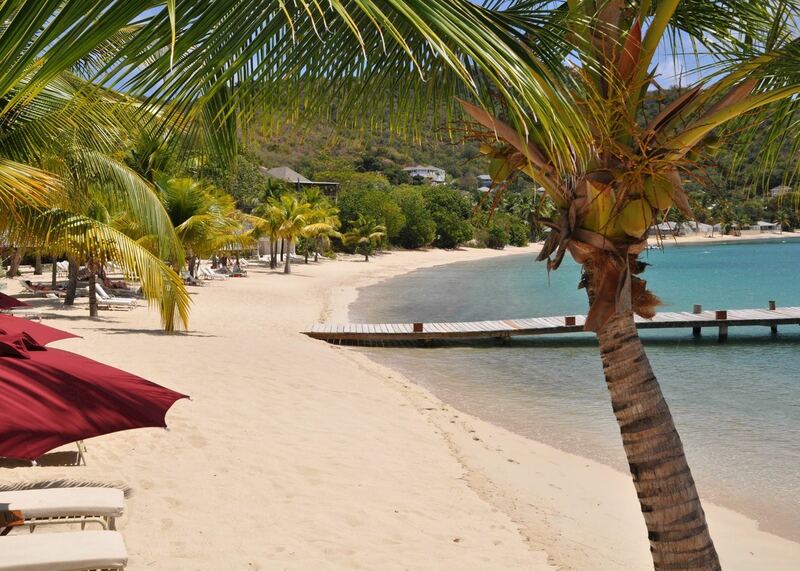 Alternatively take a trip to the pristine pink sands of nearby Barbuda, Antigua's little sister. You have most of the day at leisure before transferring back to the airport in time for your overnight flight home. Your specialist will carefully design your trip, creating a detailed itinerary which will be sent to you. Your specialist will answer any further questions you have and refine it until you are completely happy. Even after booking, you'll undoubtedly think of more questions. Feel free to call your specialist at any time. The same specialist will handle your trip from start to finish.